Comes in three great varieties! The DI Microfiber Applicator Pad is a great tool every detailer should have around for various detailing tasks. When using a polish, glaze, sealant, wax, etc. you will apply light to firm pressure through your applicator pad, so it is extremely important that you have a paint-safe applicator that will not add micro-scratches to the clear coat. The DI Microfiber Applicator has a very soft microfiber surface which ensures that no micro scratches or swirls are added during the application. It comes in various sizes and it can also be used all around the interior to apply your favorite cleaner and protectants. 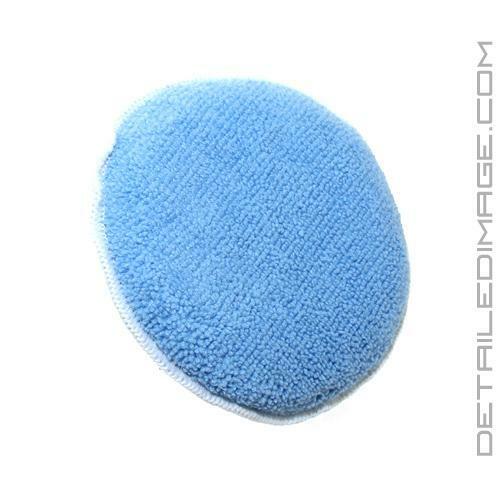 The Microfiber Applicator Pad is very durable, so it can be hand washed and reused time and time again. These pads can be machine washed with other microfiber towels, but for maximum durability, we recommend hand washing. Every unique product you apply should have its own applicator pad, so you never have two different products on the same applicator. So make sure you have enough applicators for safe and effective detailing. DI Microfiber Applicator Pads are the product of choice for safe and easy hand applications. Rectangle - 4.5" x 3.5" x 1"
Rectangle XL - 6.5" x 4" x 1"